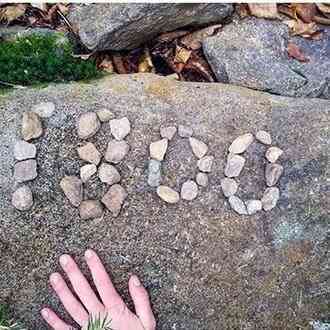 Courtney Black is paying it forward. 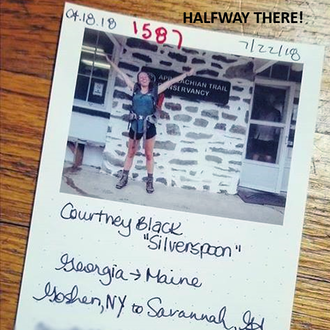 Originally from Middletown, New York (and now living in Savannah, Georgia), Courtney wants to make the 6-month, 2,200-mile trek -some 5 million steps - count: She plans to use her journey to raise funds for Pets Alive. "Any amount would make me happy," she says. 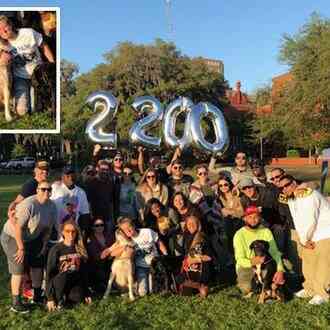 Let's get all 2,200 miles donated by donating $1.00/mile and help Courtney meet her goal to help the animals! And share with your friends and family! Let's help Courtney achieve her goal of helping the animals! 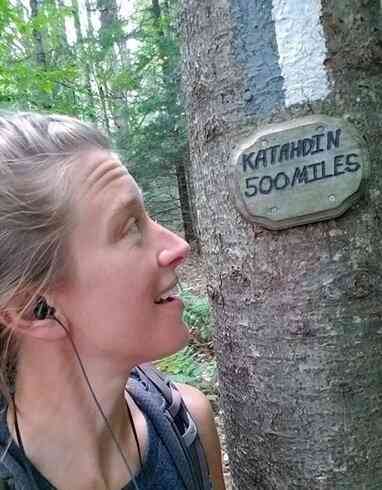 Courtney has reached Maine and is close to concluding her journey! DONATE NOW so she can reach her goal! 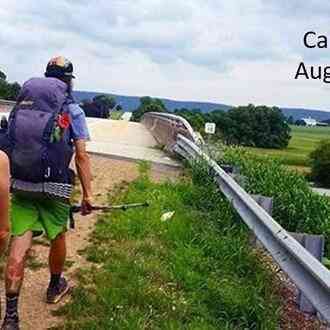 Courtney has less than 800 miles to go to get to her final goal of the end of the trail! She continues to make new friends along the way - and has kept a smile on her face through rain and very hot weather! We anticipate she will pass through our area shortly. We'll keep you posted when that happens. 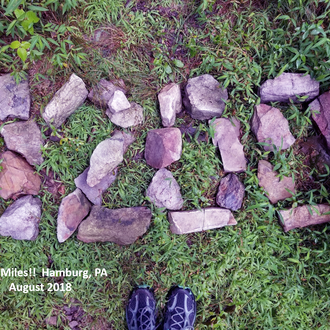 Courtney hit the 1,200 mile mark and just passed through Hamburg, PA! We anticipate she will be in New York very soon and will stop by Pets Alive for a visit!! Stay tuned! 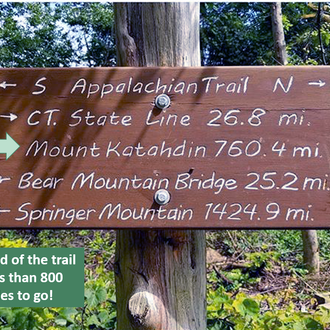 Courtney has hit the halfway checkpoint on the Appalachian Trail! 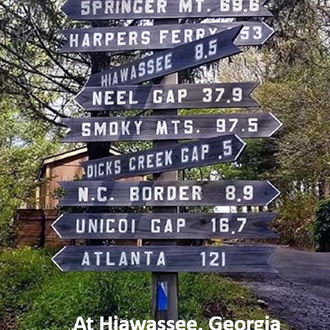 That’s right, Courtney has checked in in Harper’s Ferry, West Virginia! 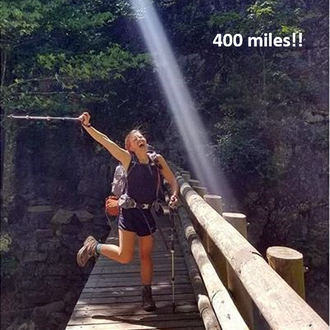 Courtney hit the 400 mile mark and still going strong! 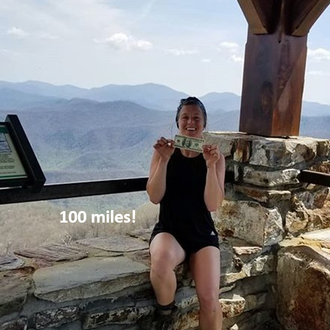 Courtney has hit the 300 mile mark and was recently cited at Roan Mountain, North Carolina! She's been having a great time and meeting many friendly people along the way. 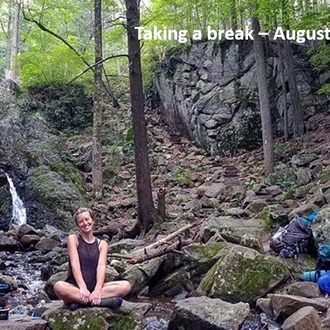 A spontaneous camping trip last June planted a seed in Courtney Black’s head: What else could she do to put this sense of adventure to the test? 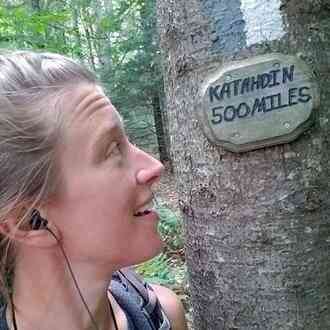 Her “aha” moment came when her thoughts turned to the Appalachian Trail (AT). With no major commitments in her life, the timing seemed perfect. 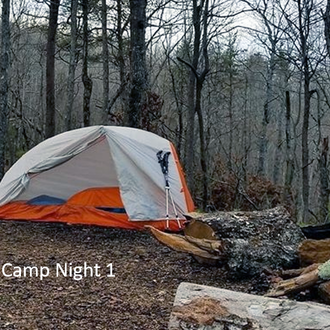 Hiking the trail can be a costly endeavor (estimates are $1,000 per month for shelter, food and supplies along the way), plus additional funds to cover a storage unit, cell phone, bills and more. Courtney also needed to provide 6 months of food and supplies for her two kitties, who will be in the care of a loving foster home while she’s away. One night in February, a quiet couple came in and sat at the bar. Before leaving, they called Courtney over and handed her an envelope. 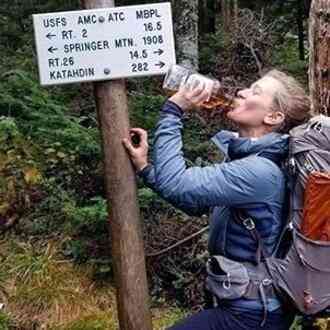 They said, “We have a mutual friend,” and told Courtney they knew she planned to give up her dream of hiking the trail. 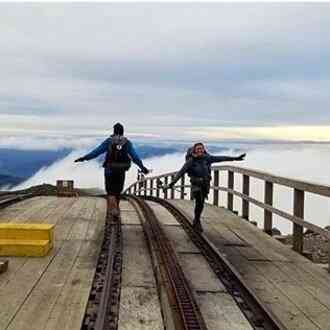 They also shared that they had just hiked the trail themselves, and they implored her not to abandon her dream. Then they handed her an envelope. 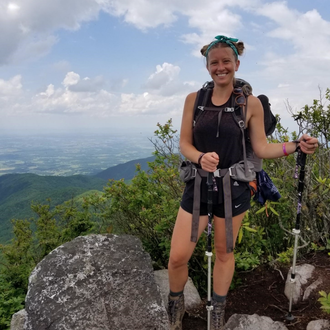 Courtney says she cried uncontrollably at their generosity, and it helped her “get her fight back.” Even though she was still short for the trip, she wanted to figure out a way to make it happen. Four weeks later, more angels appeared in her life. 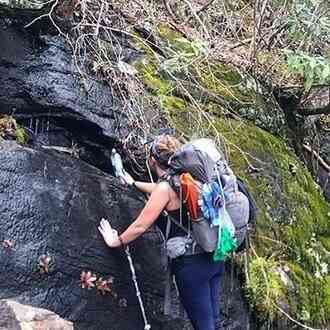 Now, she is ready to hit the trail and pay it forward by raising funds for the animals of Pets Alive. When Courtney lived in Middletown, she and another friend would come to Pets Alive and volunteer as often as they could. After she moved to Georgia, Courtney wanted to find a similar no-kill rescue where she could volunteer her time — to no avail. “It made me realize how lucky all the people and animals are when they have a Pets Alive nearby,” she says. 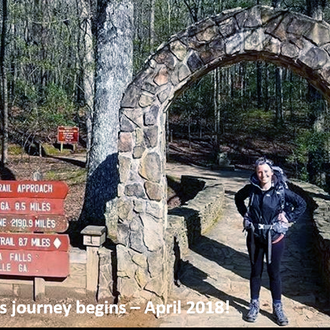 Join us in following along on Courtney’s amazing journey as she hikes 5 million steps, 2,200 miles for the animals of Pets Alive! Click on a heart above and donate now! p.s. 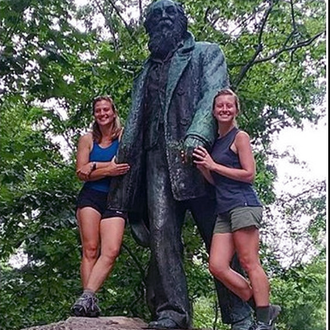 We will provide periodic blog posts as Courtney advances along the trail or watch our Facebook page for updates. Thank you, in advance, for your support. Any donation made will be used to care for the animals at Pets Alive. I am helping to support Pets Alive. This is an important cause and I’d really appreciate your help. Please spread the word and/or make a donation. Thank you so much! 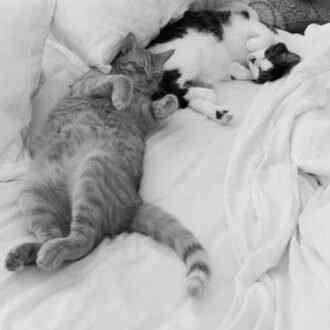 I just made a donation to "Pets Alive." Please help me spread the word about this cause or make a donation yourself. Your generous donation goes directly to Pets Alive, less credit card processing fees. GivingGrid.com does not take a fee from Pets Alive. Please help a little more to support GivingGrid's operating expenses and keep the service free to Pets Alive. Why? Unlike most other services, we don't charge Pets Alive any fees. It's free to them.